The 2013 world boxing championships were held at the Baluan Sholak Sports Palace in Almaty, Kazakhstan from October 14 to October 26. 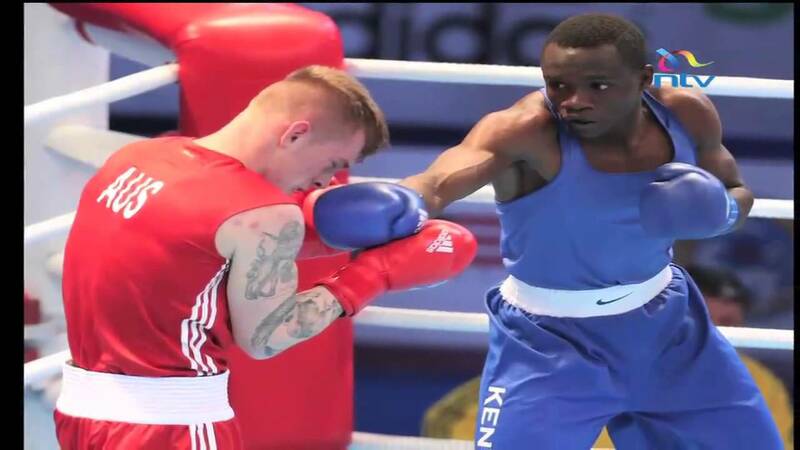 Kenya sent nine boxers who won a total of 5 bouts. None of the Kenyans reached the quarter-finals. The best Kenyan performer was Rayton Nduku Okwiri who started in round 1 and won three fights. Nick Abaka, Simon Mulinge and Benson Gicharu each won one bout. Hosts Kazakhstan won four gold medals to emerge overall winners, followed by Cuba and Azebaijan with two each. Algeria with one silver medal, was the top African country. 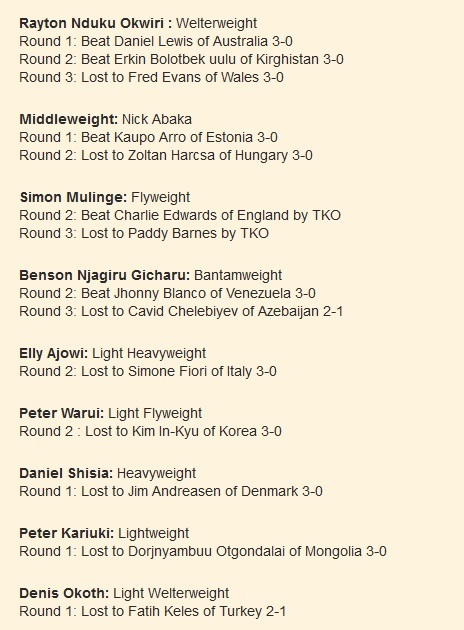 This entry was posted in kenya boxing, kenya boxing results, Kenya Sports news and commentary. Bookmark the permalink.